The 2019 NBA trade deadline has come and gone, and while there were some interesting headlines, there wasn’t much in the way of earth shattering news. Marc Gasol heading to the Toronto Raptors was a bit of a surprise, and I feel like the Philadelphia 76ers got a steal for Jonathon Simmons, but what I was most interested in were the moves that didn’t happen. Particularly, the move that didn’t happen for Anthony Davis. Just before Christmas 2018, multiple sources reported that LeBron James and Anthony Davis had dinner after a Los Angeles Lakers vs New Orleans Pelicans match-up in Los Angeles. Headlines stated things like, “Lakers appear to be in driver’s seat”, and, “Davis is in complete control of his destiny.” Then, just before this week’s trade deadline, Davis’ agent Rich Paul made his client’s trade demands public thereby leaking the information to the media that Davis wanted to be traded. When I read this release, I was impressed to see that the organization confronted the rumors head-on and specifically identified that they intended to make decisions “on our terms, and our timeline”. The Lakers then got serious on a trade, making the following offer to the Pelicans in exchange for Davis. I don’t know about you, but my jaw nearly hit the floor when I read this trade offer. Los Angeles appeared intent on securing Davis for their future, and they were willing to practically give up the farm in order to do so. The Lakers expected to be engaged by the Pelicans in trade discussions, and they were preparing for a counter-offer. Instead, the Pelicans not only didn’t make a counter offer, they went radio silent on the discussion altogether. Reports out of Los Angeles publications indicated that the Lakers had lost interest in the deal, and pulled out due to NOLA’s lack of response–to which my interpretation was that the Lakers were feeling a little embarrassed as a result of being quite literally ghosted by the Pelicans. Anthony Davis will play the remainder of the 2018-19 season for the New Orleans Pelicans. A number of factors contributed to this decision. Ultimately, Anthony made it clear to us that he wants to play and he gives our team the best opportunity to win games. Moreover, the Pelicans want to preserve the integrity of the game and align our organization with NBA policies. We believe Anthony playing upholds the values that are in the best interest of the NBA and its fans. We look forward to seeing Anthony in a Pelicans uniform again soon. Not only were they not going to trade Davis, but instead, they would insist that Davis return to the court and continue to work toward securing wins for the Pelicans for the remainder of the season. I can’t help but be thoroughly amused by this turn of events. Un-phased by Magic Johnson and James, the Pelicans were clear and decisive in their actions, and even called out Davis, and the Lakers organization for breaking league rules on tampering. They said a trade would be made on their terms, and their timeline, and would ultimately be the best move for the Pelicans organization. Petty entertainment aside, I actually believe this was a sound business decision from New Orleans. What takes place on the court is only a small percentage of the business dealings that comprise the NBA industry. With only 30 organizations, the NBA is a very small world–and in business reputation is everything. The Pelicans showed the league that they will not be pushed around by anyone no matter how famous or powerful. They made it clear that they will be calling the shots and given that they have the latest hot commodity, they truly hold all of the cards. Davis’ contract extends through 2021 where he will then be a free agent. He holds a player option, but that opportunity won’t come around until after the 2019-2020 season. That means it’s actually the Pelicans who are in the driver’s seat, and in control of Davis’ destiny. They’ll likely work to trade him this summer, or perhaps they’ll work to re-engage him in the organization. 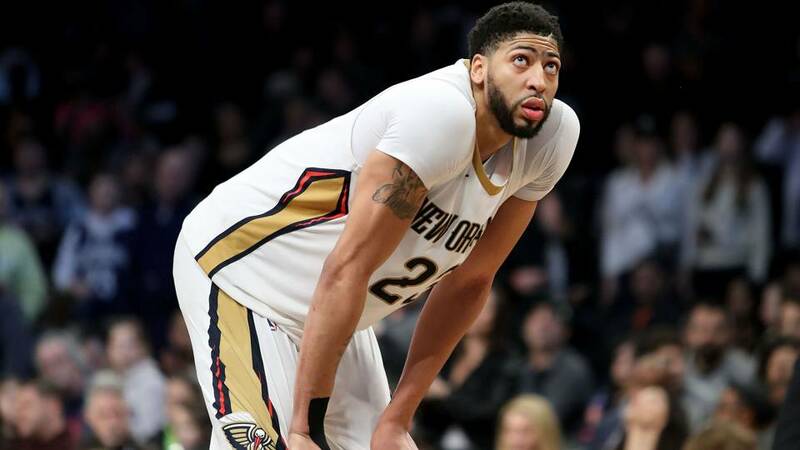 One thing is for sure–if they do offer Davis up on the trade market, teams will have to present their absolute best offer to even get a hope for a response from the Pelicans. They may be one of the worst teams in the league this season, but apparently, they’re no fools.